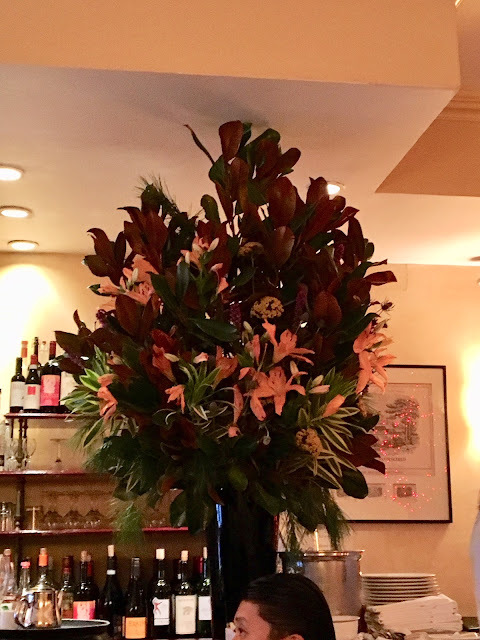 One of J and I's favorite spots to dine for brunch/lunch is Amaranth located on the Upper East Side at E. 62nd Street. We stumbled upon this gem last year and are hooked. It is definitely where the locals lunch. I especially love the French onion soup and the four-cheese ravioli. A large portion of specialty items that are served are imported from Italy and France. The famous Focaccia Robiola, the super fresh and tasty Seafood, creative Pasta and perfectly al dente Risotto, have attracted a dedicated fan base of New Yorkers, Europeans and celebrities, who are looking for a home away from home. The Mediterranean Bistro has a really charming terrace during the warm season, where you can taste the delicious food or enjoy a cocktail (try the famous Frozen Cosmo!) before dinner. Amaranth, with its well balanced wine list, is the perfect choice for a fine dining experience as well as for a casual meal with the entire family.